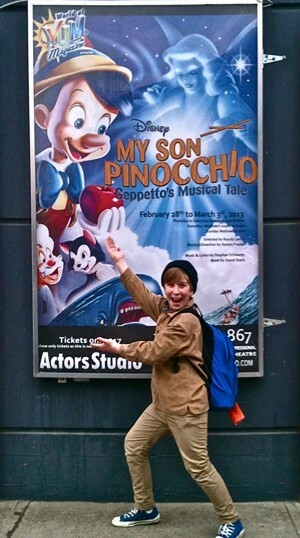 My Son Pinocchio in British Columbia! This is the first poster I’ve seen that uses art from the animated film. It’s very cool (and hopefully legal). If you happen to be near the Actors Studio in Kelowna, BC at the end of February/beginning of March, be sure to catch it! I’m sending good wishes to all the performers and hope they break many legs (so to speak).